The reported mom-to-be was seen inside a drugstore. Kylie Jenner was spotted at drugstore CVS yesterday, where she appeared to cover up her growing baby bump in an oversized green hoodie. The beauty mogul was dressed casually, sporting leggings, slides, and sunglasses. 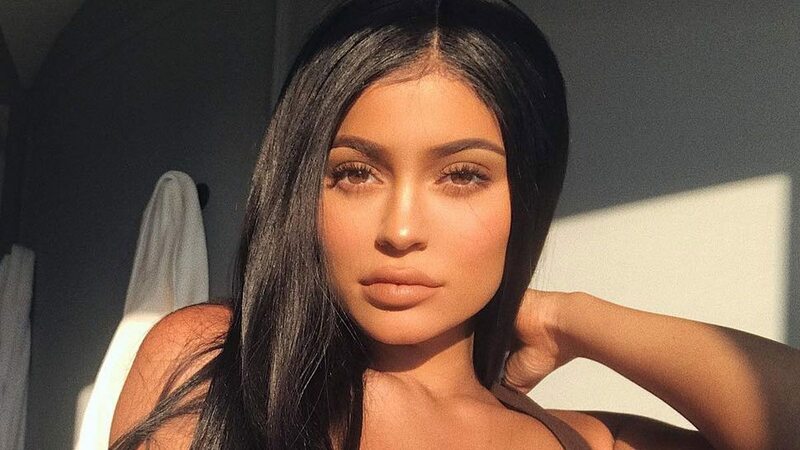 The appearance follows false rumors that spread on Friday, stating the 20-year-old was in labor at Cedars-Sinai Medical Center in LA (where Kourtney and Kim Kardashian have given birth). Although the hype escalated on Twitter, TMZ reported that the gossip was untrue. The CVS where Jenner was seen on Monday is reportedly located near Cedars-Sinai. The beauty mogul called her mom Kris Jenner and explained the situation. "There's always somebody that's trying to exploit [this] certain situation, and to have somebody in her own home trying to snap pictures they shouldn't be snapping is really, really stressful," the momager said to her. Kris even considered having the employee "arrested." But why was the person trying to snap a photo in the first place?